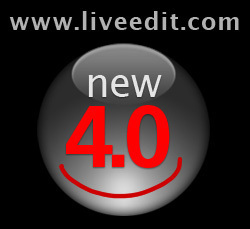 Liveedit announces the release of Liveedit 4.0 - a major upgrade that enhances the program's collaboration capabilities. Liveedit is express and easy to use with many new features designed to further enhance and simplify the way imaging professionals get projects done. The release of Liveedit v4.0 is a major upgrade to the cloud sharing and collaborative workflow environment for imaging professionals, designers and illustrators - adding enhanced communication capabilities. A faster, easier user interface and multiple new features dramatically streamline the way imaging professionals stay ahead. Designed by professional photographers, Liveedit provides an incomparable interface - dramatically improving the remote workflow between clients, art directors, agencies and photographers. With Liveedit, imaging professionals provide a better service to their clients, maximize revenues while saving time and cut costs across the entire process from shooting to retouching, distribution, review, approval, archiving and stock sales. "Creative companies face business continuity problems because too often one person holds all of the knowledge about creative assets," says Darren Lipman, Product Manager. "Liveedit's sharing empowers everyone to make the best use of a company's creative assets. Liveedit sharing enables everyone to make the best use of a companies creative assets from shoot to archiving to stock sales - a complete solution." Liveedit 4.0 advances users' digital photography workflow experience, building upon Liveedit's already cutting edge core features. 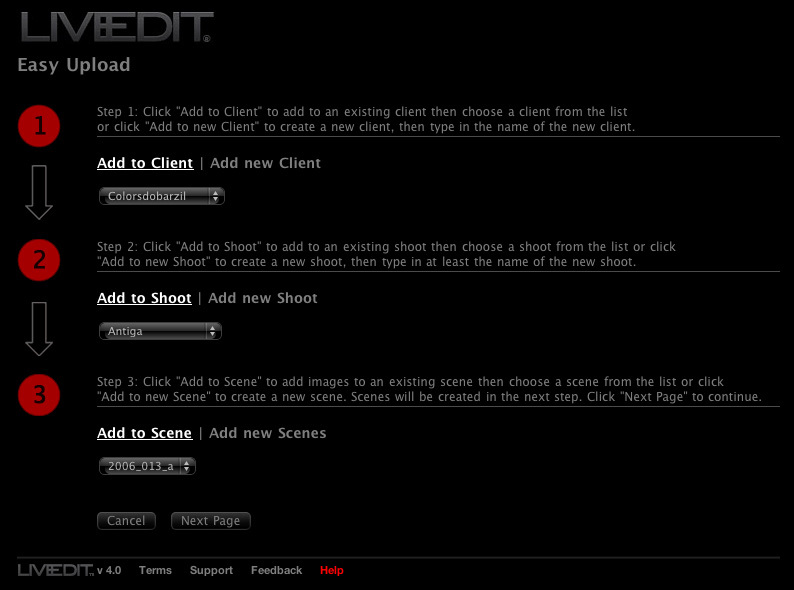 Enhanced additions to Liveedit's workflow modules, Edit, Retouch, Archive and Stock sales include: Express Image Viewing, Metadata Viewing, Easy Image Live Upload Wizard, Easy Upload of Shoot Related PDF's, User Activity Monitoring, Advanced Control Over User Access, Enhanced Security and Performance, and Customizable login. "The future for photographers, media industry leaders and image makers is here now! The way in which savvy imaging professionals are achieving success is through Liveedit's intuitive, smart and accessible features. Nothing out there rivals Liveedit's sharp interface and ingenious workflow tools," says Lipman. "With digital now being a way of life in photography today, Liveedit version 4.0 brings even more ease and efficiency to this process, vastly speeding up time to market photography. In today's digital environment, creatives are dealing with too many images and have less time between their deadlines. Liveedit's features help bring the photo profession into the modern era, where the cycle from shoot to end product happens in hours - not days or weeks." The 4.0 Version of Liveedit has added many new features to maximize the speed of the workflow process. Users can now upload images instantly with the new Live Upload Wizard. Now with Express View, the edit process can be accomplished using just the gallery page by placing the mouse over image names and viewing larger images without having to wait for new pages to load. Premier digital tech Kris Payne says, "this is the young creative's super sonic highway to the top." Liveedit's creative workflow environment for imaging professionals revolutionizes digital photography with a set of online, professional tools that enable photographers, clients, art directors and agents to easily share and collaborate on projects. From Liveedit's powerful and easy-to-use web-based interface, users can find, download, share, select, retouch and mark-up images, anywhere, anytime. Compatible with the iPhone, Liveedit allows users to get their projects moving on-the-go. Liveedit is successfully used by a variety of leading companies with extensive needs to manage large collections of high-resolutions images including: Time Inc. Magazines, Conde Nast Publications, Proctor & Gamble, L'Oréal, Maybelline, Gotham Agency, A Magazine, Garnier, Hearst, Nieman Marcus, and Avon.